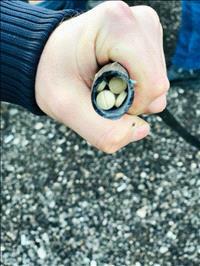 AMMONNEWS - The Anti-Narcotics Department (AND) arrested four people who tried to smuggle about half a million narcotic pills to a neighboring country hidden inside plastic hoses. Spokesman of the Public Security Department Lieutenant Colonel Amer Sartawi said that AND personnel followed up on information about a number of people who were preparing a large quantity of narcotic pills for smuggling to a neighboring country by a cargo vehicle. He said in a press statement that investigations enabled the AND to determine the date of smuggling and the amount of drugs intended for smuggling, adding that four suspects of different nationalities were arrested in Al Azraq area and nearly half a million Captagon pills hidden in the vehicle were seized.